Soak Mushrooms and Dried Shrimps in water till soft. Drain. Remove mushroom stems, and marinade for about 15 minutes. Gently rinse the meat, and marinate for about 10 minutes. Rinse rice and cook as usual. In the mean time, prepare vegetables. Remove stems, and cut into small parts. Rinse thoroughly. Heat oil, and fry the dried shrimps till fragrant. Add mushrooms, and fry for another minute or so. Add minced meat and stir fry till meat is almost cooked. Throw in vegetables, and add seasonings. Fry on high heat till vegetables are cooked. 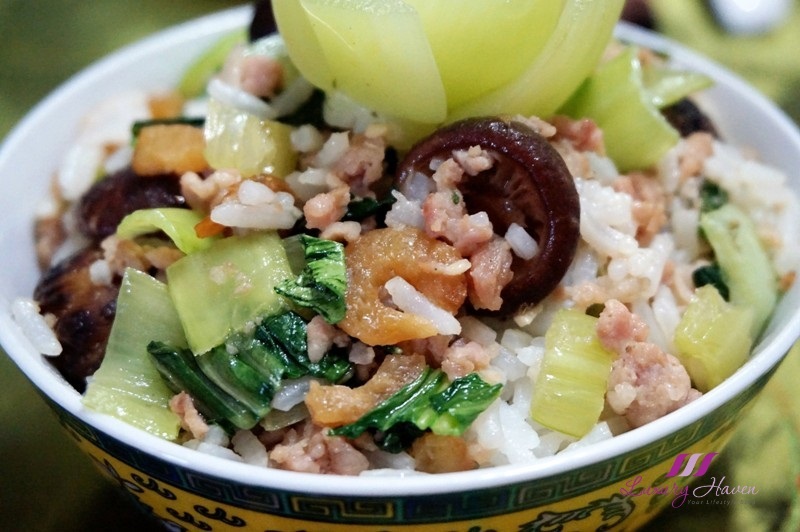 When rice is ready, add all the ingredients into rice cooker and mix gently. 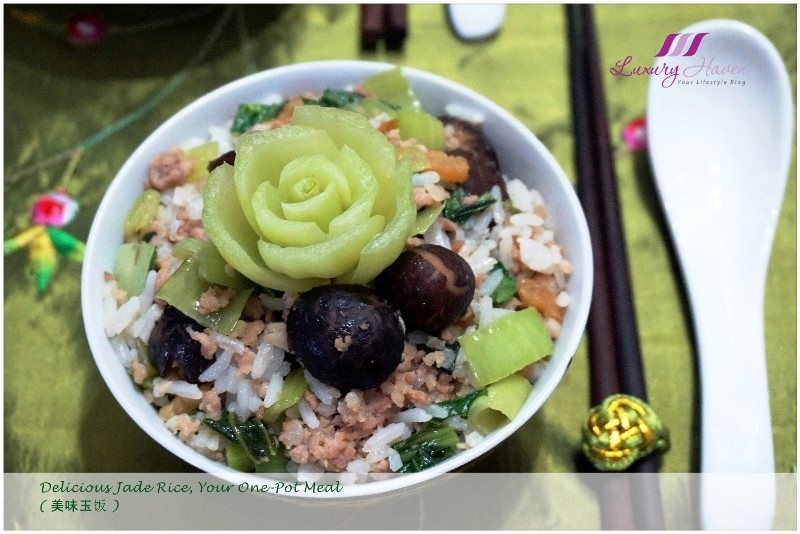 Serve your Delicious Jade Rice ( 美味玉饭 ) hot! Do you like this type of one-pot meal? 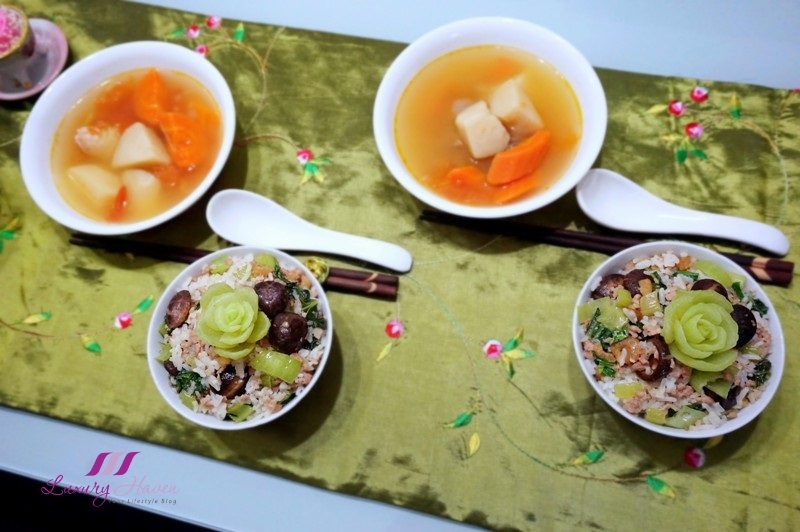 Looking for a healthy soup to go with your meal? Hop over to My Recipes and scroll under Soups! I never tasted such rice. Thanks for sharing. Delicious looking healthy one dish meal. 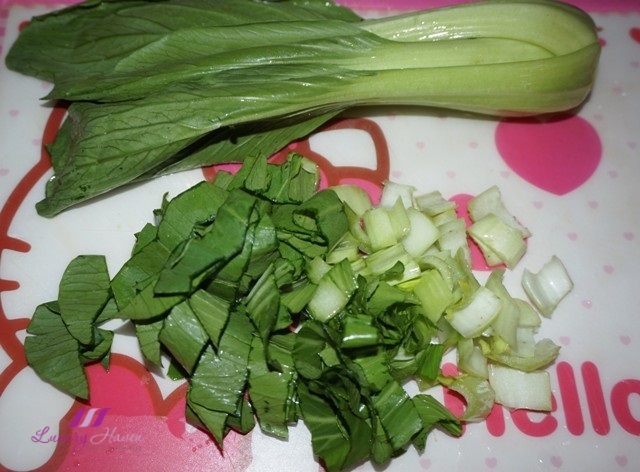 Love how you cut the stem of the baby bak choy to resemble a flower. 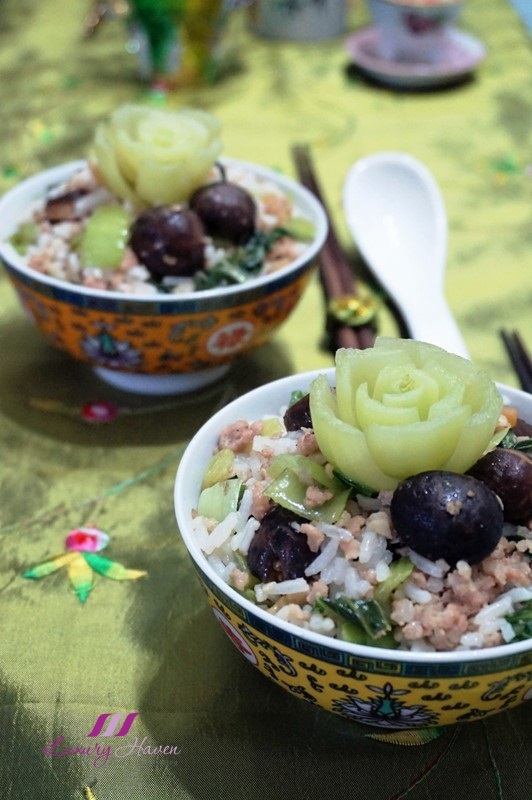 This rice sounds delicious and the presentation is wonderful! I love any kind of rice! 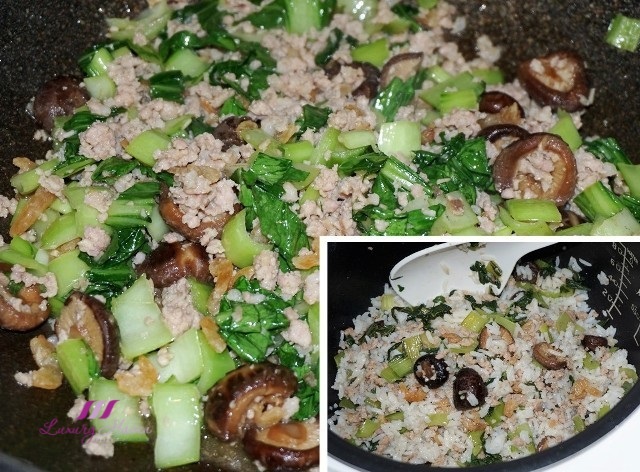 I love mushrooms, this recipe sounds delicious! I love the decor, sweet idea! This is endlessly delicious! I really love it. This looks delicious! I think I actually have all the ingredients to make it too! Healthy and very beautiful to the eyes. Very delicious recipe and not complicated to cook. Thanks! Oh wow now this is truly food art, very nice! Have a lovely weekend! Such a pleasure meal. Always for me, always a Chinese meal. This is the sort of fuss free meal that I like. 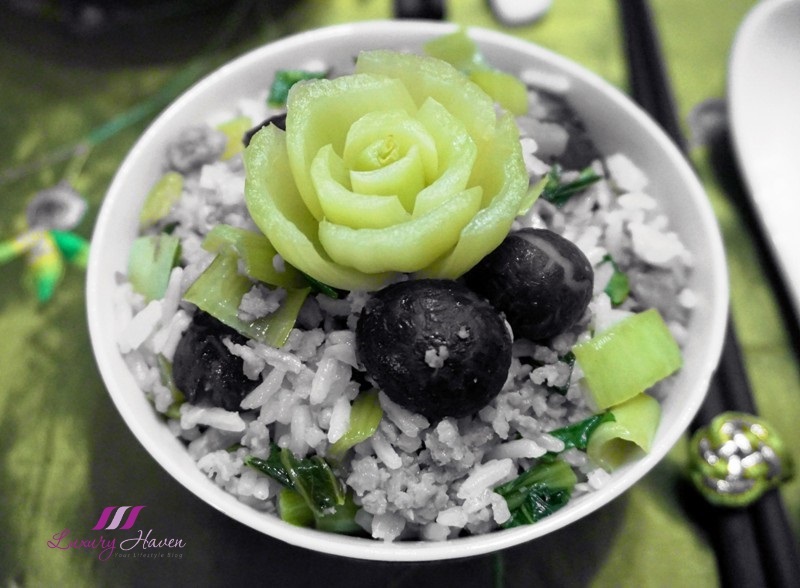 I love how you used the stem of the bok choy to make roses! 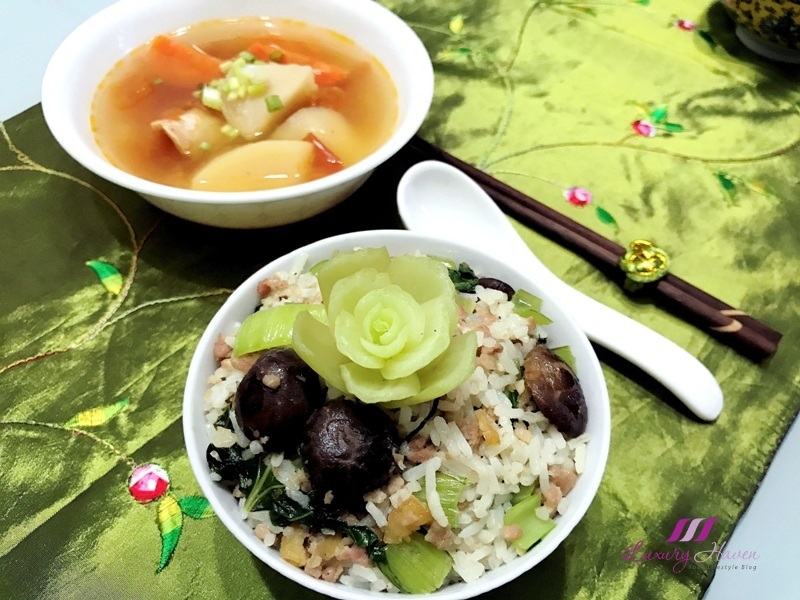 Healthy, delicious and hearty! Love one pot dishes like this Shirley!